This is guest post from Luke Hughes who is a qualified personal trainer and a director for fitness training provider Origym. According to government statistics released earlier this year, over 2 billion visits were made last year to the great outdoors for leisure and exercise purposes within the UK, with the most common forms of outdoor exercises being cycling, rowing and running. 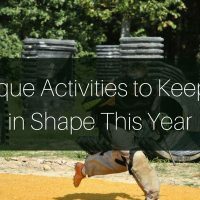 With 10.5 million of us, roughly 1 in 5 runs at least four times per year according to sports marketing survey INC.
It’s great to see so many people participate in cardio-based sports activities but what about regular weight training? Are we neglecting the benefits that weight training can bring us? Weight training has been around for centuries from the Romans to the ancient Greeks and for good reason. The old-aged question that many recreational cardio participants ask when trying to get the best possible results from their workout routine – Should you spend any time lifting the weights and will it actually benefit your aerobic performance? Many runners, cyclists and rowers get concerned with adding bulk or spending time focusing on the weights, which could have been applied to boosting their cardiovascular capabilities. Ultimately, it depends on how serious you take your training, the amount you are currently training and what stage you are at right now with your cardio to find a balance of when to introduce the weights to give you that bit extra. Resistance training is utilised by all cardiovascular based sporting athletes and most certainly can be used by even the most recreational average Joe to boost and enhance performance to shed off that 30 seconds off your next run, get you up that next hill climb on your bike or help you turn in the swimming pool. And it’s not only about performance, there are other benefits of weight training too. In this article you will learn the benefits of resistance training and how it can aid your fitness programme. Most importantly, you will learn why you should make it part of your current fitness routine. Where can resistance training help? Through the correct strength-training programme with a focus on compound exercises like squats, deadlifts and leg pressing you will notice big strength gains. Cardio based sports predominately develop type 1 muscle fibres, which are the least powerful, however they take a very long time to exhaust, hence why training should mainly revolve around these fibre types. This being said, developing a specific weight training plan you will activate your type 2A muscle fibres that generate power and speed and will be really useful for giving you that extra burst at the end of a race or if you simply want to beat your friend at the time that really matters. Muscle fibres develop in direct relation to your training, so by adding some resistance work whilst still keeping your sporting or recreational cardio focus on track you will get the benefits of both worlds. Some endurance based athletes and recreational trainers get concerned that if they revert to adding strength-based exercises to their routine that they are going to put large volumes of lean muscle mass on, which is detrimental to their sport. This is actually not the case as it’s is very widely accepted that running, swimming, cycling, and other cardio based exercises actually degrade muscle – this results in the athlete getting the benefits of extra strength and power without the huge muscular adaptation. As long as the cardiovascular element is sustained but not through an entire shift towards resistance training, then the large majority of muscle fibre types will be type 1. According to the research from the Journal of Strength and Conditioning those who performed regular cardio and then introduced weight training to their routine, found very little difference in body composition of lean muscle mass, yet they all recorded increases in strength and power. Further research by Aagaard and Andersen who wrote an article on the effect of maximal strength training on elite endurance athletes found that continuous training diminished the muscle hypotrophy that would normally occur with strength training. Did you know that our energy supplies are directly relatable to our body composition? For example, if we can imagine that our cross- sectional area of muscle does not have to increase with adding strength training but we do record improved strength gains, this must come from somewhere? Indeed it does, from enhanced capillary development within the muscles allowing us take oxygen to the muscles and waste away much faster, thus improving cardiovascular performance. Another added benefit is the rate we can now absorb fatty acids through this enhanced capillary infrastructure – this is ideal if you love doing endurance events such as triathlons, marathon running or even if you just go for a recreational cycle as it sustains our glycogen stores, which enable us to endure for longer, giving us more energy at the times we need it. Fat is mainly lost through having a fast metabolic rate, when we are asleep and not being active, more than when we are actually training, so it makes sense to try and speed up our metabolic rate in order to reduce our body fat. Resistance training has a huge benefit of enhancing our metabolic rate when we are not exercising and this is something that cardiovascular training just can’t compete with. Lean muscle burns more energy than fat and fat can even have a negative avalanche effect as it secretes fatty acids and hormone peptides into our system making us even fatter. Established endurance trainers normally have very low body fat percentages but by introducing strength training earlier within their schedule they could have actually got there much faster through the accelerated metabolic befits that resistance training provides during the time we are away from the gym or the track. It is very important for a successful cardio based trainer to be fit and fully functional to maintain fitness levels as they can deteriorate very quickly if niggling injuries re-occur. 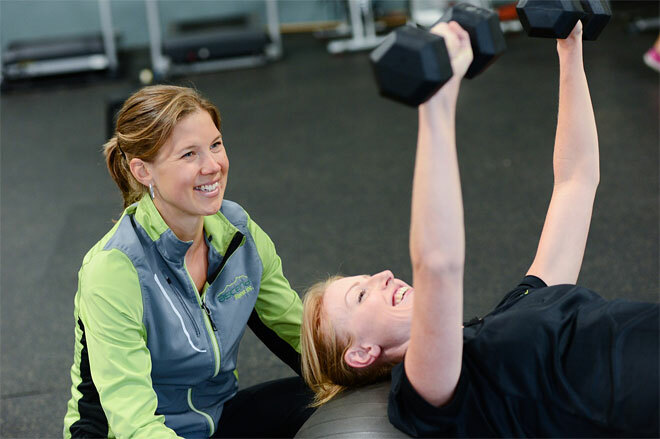 Strength training is a great injury prevention tool as it enhances bone density and improves connective tissues, ligaments and tendons strength. This is particularly important to runners, triathletes and any other impact based sports due to the repetitive wear and tear the pavement can cause as opposed to the non-weight bearing cardio exercises such as cycling or rowing. We all develop muscle imbalances, which can affect our efficiency on the bike or on our next run. This is rarely apparent and can lead to damage to the motor signal, which in turn can lead to injury. Strength training and isolating the imbalance through single limb training can avoid this complication in the long run – this has been applied to more explosive sports very successfully and the same principle can be applied to long distance events too. There are many more benefits of integrating a specific weight-training programme with your current fitness routine and it’s worth keeping in mind that specific benefits do disintegrate if you stop your existing cardio training. Other more minor benefits include increased reproductive health, increased anti-oxidant levels and improved receptiveness to insulin fluctuations. 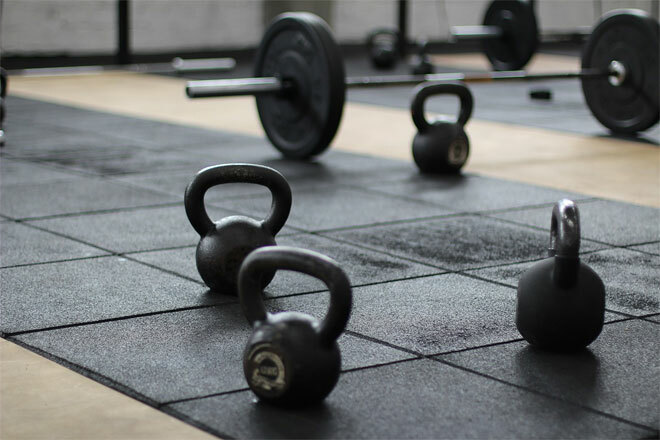 Whether you are just starting a new cardio based fitness routine, simply want to get a bit fitter or you are an elite athlete with a large amount of training experience, expanding your horizons into adopting a strength training routine will add extra benefits that will get you to your results quicker. Luke Hughes is a Director for fitness training provider Origym. He is a qualified personal trainer and has a masters degree in Sports and Exercise science. Luke helps hundreds of people on a yearly basis enter the fitness sector and runs several private gyms across the UK. Reach Luke on Twitter @Origym_COE.